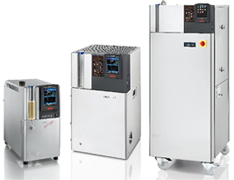 For more than 20 years, the dynamic thermoregulation of the Unistat range introduced a revolution in fluid temperature control. 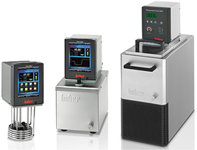 Unistats are the ideal solution for fast and precise thermal control of externally connected applications. 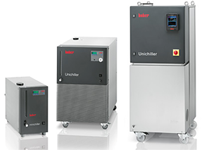 In comparison to other circulators, the Unistats offer rapid temperature change and a wide temperature range without fluid change. There are over 60 models to choose from with cooling powers from 0,7 to 130 kW. What ever the application, Unistats provide professional scale-up offering the same stable process conditions from the development lab to production systems. 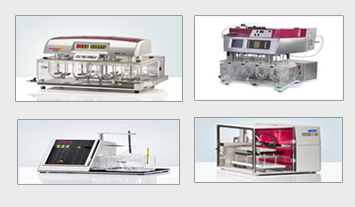 The product group "Specials“ includes thermoregulation solutions for special applications. 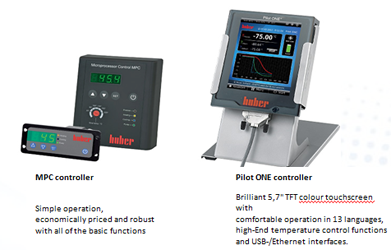 These include, for example, the Forcier test thermostats for determining the shelf life of beer. 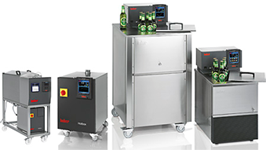 One special solution for installation in plant is the "Hotbox“ – a product range with compact circulation heating devices for external open temperature control applications. 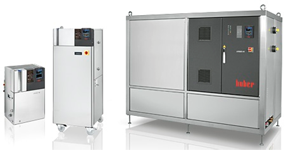 The calibration bath "Cal 700“ working in combination with a Unistat temperature control system allows very precise calibration of sensors and measuring devices. Unistats® are not comparable with conventional temperature control engineering. There are no alternatives thermodynamically. Our engineers know what you require from research and production: PROCESS SECURITY! 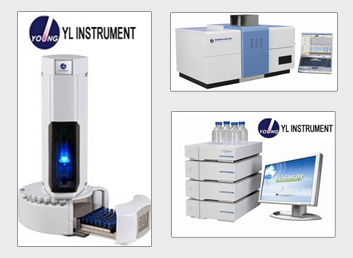 The security that the temperature-dependent processes in your laboratory and in the production will run exactly as you want them to – without making compromises – at any time. Unistats give you the pleasant feeling of being thermodynamically on the safer side. 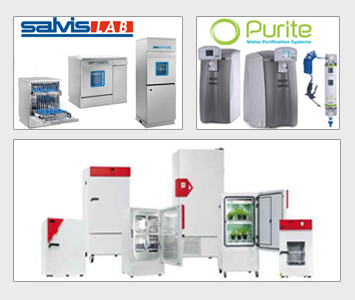 You need precise and reliable control of all of their thermodynamic parameter for them to be successful, so that you can reach your goal without making compromises. We therefore place a great deal of emphasis on ensuring that our Unistats deliver exactl what you need: PROCESS STABILITY in the high end Quality!